Millions of overseas Filipino Workers (OFW) in the United States and American businesses in the Philippines will not be affected with the constant tirade of President Rodrigo Duterte against the US. 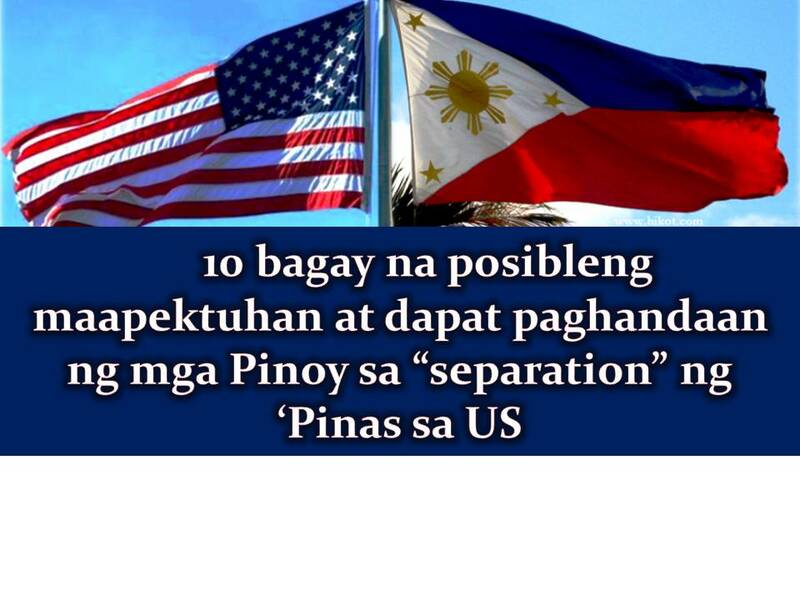 This was the assurance of Malacañang in front of Duterte's announcement of "separation" from the US. The President already clarified his statement and said he means "separation from dependency." Presidential spokesperson Ernesto Abella said, American-owned businesses in the country no need to be pulled out and OFWs will no be affected. "SPLIT" FROM THE US? WHO ARE THE MOST LIKELY TO BE AFFECTED? 1. OFWs and BPO sector are two of the country's biggest growth drivers. The effect of potential US investors staying away is particularly worrying for the BPO industry as it is the sector's dominant source of export revenue, accounting for 72.6%. 2. 77% of IT and business process management (IT-BPM) companies in the Philippines are dependent on American companies and of course American clients. 3. The US is home to almost 6 million Filipinos. This is the largest Filipino population outside of the Philippines. 4. More or less 43% of the remittances from OFW abroad originate in the US according to United States Ambassador to the Philippines Philip Goldberg. 5. Trade relation between Manila and Washington amounts to $16.491 billion favoring the Philippines. 6. The US is the largest private foreign investors in the Philippines. 7. American companies are the largest private employers of Filipinos. 8. The largest exporter of the Philippines is also American companies. 9. The US is the 3rd largest trading partner of Philippines, next to Japan and China. 10. Today, there are 3.5 million Filipino-Americans. Filipinos comprise the second largest group of Asian Americans, numbering more than 3.5 million individuals, Of these, around 2.5 million are adults 18 years old and above.